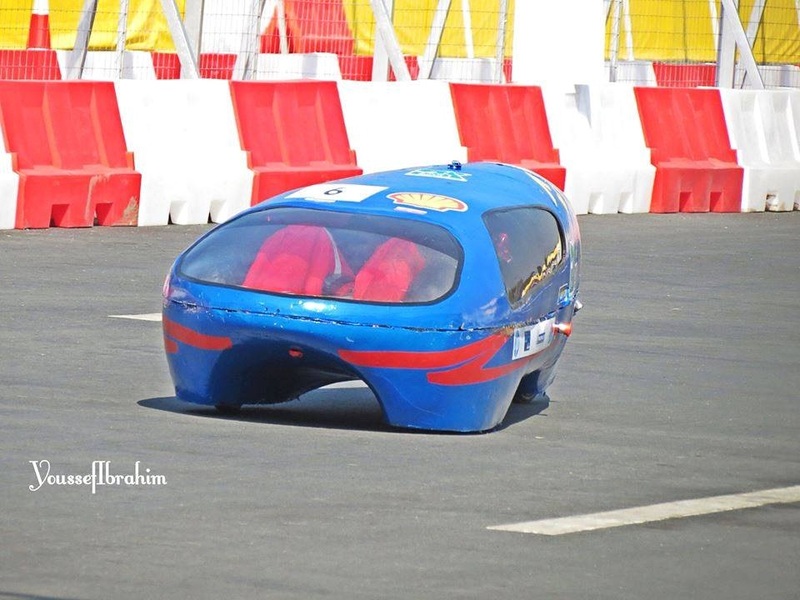 Faculty of Engineering, Cairo University team earned eighth place among the 44 team in the World Championship for the Shell Eco-friendly cars “Shell Eco-Marathon” held in the Philippines from February 6 to 9, 2014. Egypt participated with two teams from the University of Cairo and Ain Shams. The team won the eighth place among the 44 team from various parts of Asia, the Middle East and applied to all participating teams from Africa and the Middle East in the primary contest models (Prototype) in the category of gasoline. 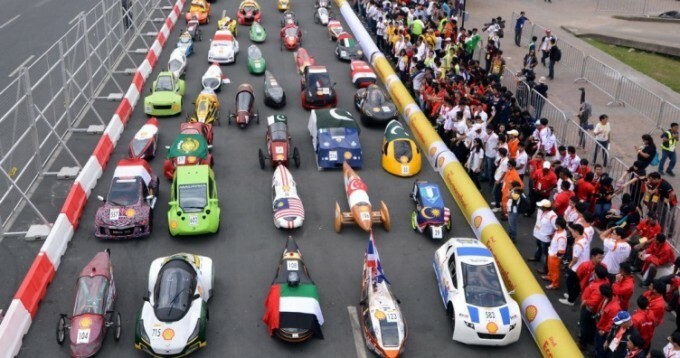 Shell Eco-marathon depends on the students from all over the world to design and build a super-efficient cars saving energy. The winning team is the team that go the largest car distance using the least amount of fuel. The Faculty of Engineering – Cairo University team working on designing and building the car fully in Egypt over two years. Car Group achieved a fuel efficiency of the car managed to cut 122 km using only one liter of gasoline. The design and implementation of the car body of high-strength carbon fiber and lightweight. Team members from the students: Karim Hamza, Hani Anani, Islam Tayseer, Mohammad Saudi, Islam ElTabbakh , Muhammad Hisham, Muhammad, Hussam Tawfiq, Ahmed Karam, Yusuf Ibrahim, Ismail ElNahas (from mechanics departments and electricity altogether) in addition to a number of other members of the the team could not travel with the team. The group’s work under the supervision of Dr. / Omar Hazeen , D / Osama ElBahar Mechanical Power Department, Prof. Badr Azzam, D / Mahmoud Abd Rabbo, Department of Mechanical Design and Production, Dr. / Ahmed Abu Saud, electronics and communications engineering department over two academic years. The college offers thanks to the official sponsors of the team they Misr Elkhair Foundation, a group of construction chemicals companies , the Academy of Scientific Research and Technology, and Shell for their support for the team. Congratulations to the students participating on the team achievement that they have achieved in their first participation in the competition and wish them further progress in the coming competitions.